"The Rennies" - the expression for people who love Rennes-le-Chateau first appeared in the writings of Christopher Dawes and Hugo Soskin in their respective books "Rat Scabies and the Holy Grail" and "The Cook, the Rat and the Heretic", both of which are reviewed on our book reviews page. Click here. So who are all those people who have become fascinated by Rennes-le-Chateau and it's mysteries, who have then written books about it down the years, made films, created waves, inspired millions of people? Some are dead now, but others live near Rennes-le-Chateau and still visit daily, or else work there. On your next visit you might meet a Rennes Celeb. Here they are in chronological order; Pierre Plantard, Henry Lincoln, Jean-Luc Robin, Hélène and Serge, Jaap Rameijer, Ben Hammott, Rat Scabies, Anneka Koremans, Luke Owen, Morgan Marrot. 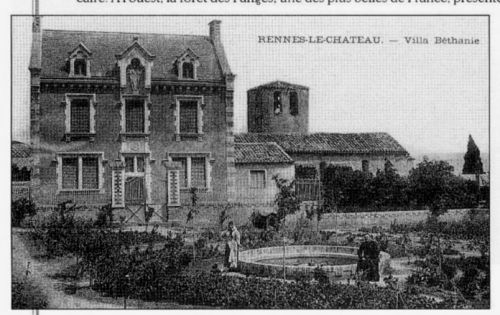 In 1956 at Rennes-le-Chateau was an event that went un-noticed at the time; the registration of an association called the Priory du Sion. The function of this society was to restore the throne to the descendants of the rightful king of France, Sigisbert VI, himself the offspring of Dagobert II and Giselle de Razes of Rennes-le-Chateau was the capital. The ancestors of Dagobert II were the Benjamin tribes of Israel; thus, to the Merovingians did the rightful treasure of the Temple of Jerusalem belong; the Jerusalem Treasure which the Visigoths had guarded at Rennes-le-Chateau. Pierre Plantard was a direct descendant from the Merovingians, who themselves were descended from Jesus; therefore, so was he! He devised a secret society, a break-away from the Knights Templar, called The Priory of Sion. The Priory's purpose was to restore the throne of France to the Merovingians, of whom Pierre was a descendant. He was the Grand Master of the Priory of Sion. Pierre Plantard loved secret societies, so he devised his own. Mysterious parchments were created by Pierre's friend, Philippe de Cherisey in the 1960's for the book that Pierre had written, that he later claimed was intended to be a novel, and the book was published under the name of Gérand de Sède. "Le Tresor Maudit du Rennes-le-Chateau" - the Cursed Treasure of Rennes-le-Chateau - was published in 1968. It was later re-published under the title "L'Or du Rennes." Much emphasis was given in the book to the "parchments" that Berenger apparently discovered in the balustrade of the church. Everybody seemed to accept these parchments were genuine. It was an example of real history woven into an historic fabrication by Pierre Plantard. From the dates of Sauniere's career to the geography of the Rennes-le-Chateau area, Pierre Plantard knew everything. All he had to do was add little touches here, which he did brilliantly. One must admire how he turned parts of real history into his great myth, a surreal Gothic fantasy, with ancient parchments, hidden messages, fantastic bloodlines, mysterious murders. The Priory de Sion seduced us all with its secrets. 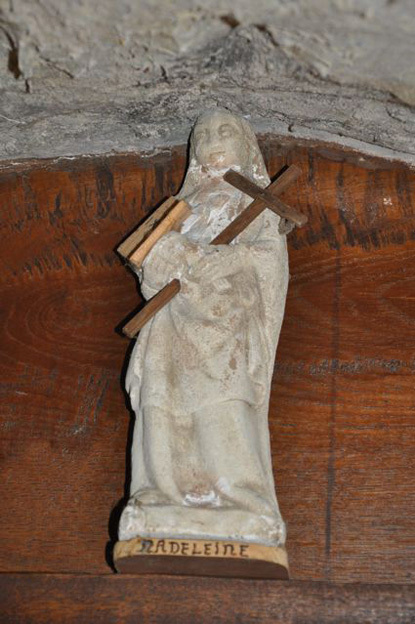 People scoff at the Priory de Sion, saying it was simply a hoax. However, Pierre Plantard put it all together with such skill, mixing history and legend together, that we must be grateful to him for his creation. He gave pleasure to many, and of those many had the satisfaction of finding meaning in their lives. He was perhaps the most interesting person in our story, being the king-pin of the Rennes mysteries. 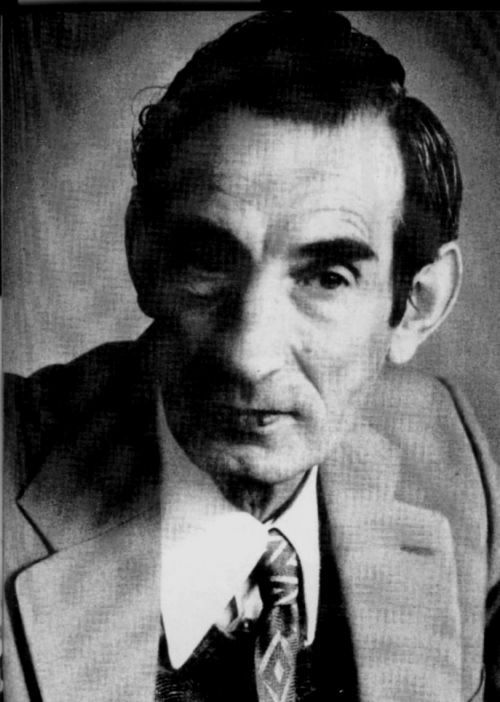 Pierre Plantard died in 2000 on the 3rd of February. Henry was a co-author of the book The Holy Blood and the Holy Grail that appeared after the great interest shown by the English in the films that Henry presented for the BBC in the 1970's. However, the "voice" of the book is not Henry's but Michael Baigent's as you will soon see if you read the books Henry wrote himself, The Sacred Place and The Key to the Sacred Pattern. They are much more "Henry" and his light-hearted way of expressing himself brings his Rennes adventures vividly to light. His co-authors, Richard Leigh and Michael Baigent (who sadly died in 2013) moved onto other things like Templars and Dead Sea Scrolls, but Henry has remained faithful to Rennes-le-Chateau, lecturing at special events and conducting tours. He now lives in a nearby village and can generally be found in Le Jardin de Marie on Saturdays and Sundays in season. I met him there myself. Henry says; "I will be found in the Jardin de Marie at Rennes-le-Chateau each weekend throughout the spring and summer. Come and badger me as much as you like! I say this because I've learned that some people have been hesitant to approach me. Don't be! I enjoy meeting you all and answering your questions. That's why I'm here. 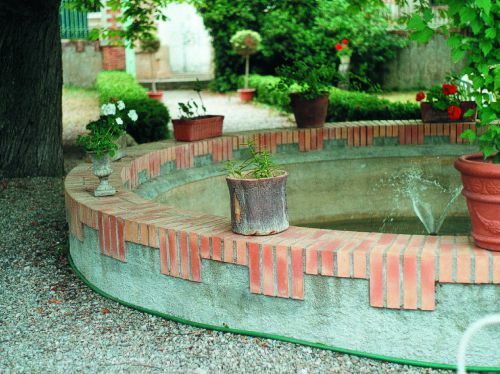 If you can't find me in the Jardin de Marie, ask, I'll probably in the Church or thereabouts." Jean-Luc Robin came to Rennes in 1994 to run the domain, with its restaurant, as left by Henri Buthion. He is the man that turned Sauniere's garden into a conference centre and did so much to promote the village as a place where serious researchers could meet. He organised guest speakers such as Henry Lincoln and local French researchers and fed them all with open-air barbecues. The atmosphere was tremendous. 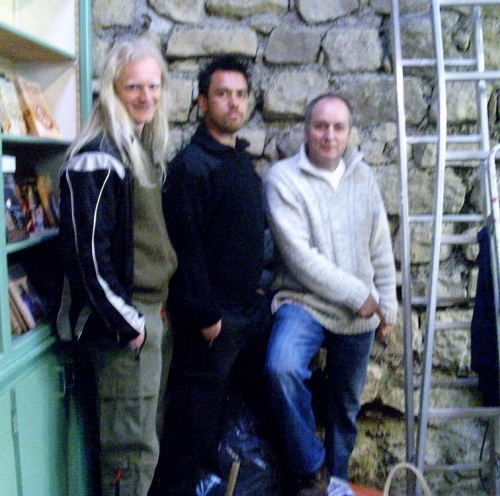 At the end of 2003 Aude magazine published an article in which the maire of the time made his usual complaint about treasure-hunting tourists. Jean-Luc defended them. "It's important to guard the mysterious side. Researchers are not all crazy, many devote their lives to the mystery. We don't lack picturesque villages in our region, but the mystery of Rennes makes our village special." Jean-Luc Robin died comparatively young, on 12th March 2008 from a heart attack, and is much missed. He wrote a book about Bérenger Saunière which has recently been translated into English. 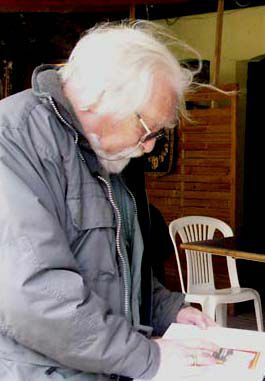 Living just to the south of Rennes-le-Chateau is Dutch writer and researcher Jaap Rameijer. His home is called Les Labadous, and is a spiritual centre. The Centre was began by a woman called Elizabeth van Buren, herself a psychic lady who had written several books. At one time she owned most of the "Plateau" area of land to the south of the Rennes "citadel", between it and the cliffs on the north side of the brook called Couleurs. She has built shrines and fountains, and has restored the windmill, once believe to be Visigothic, into a dwelling place. It is visible from Les Labadous. She herself called Les Labadous the Arcadia Centre and in 1990 had a shop there, selling books, tapes and videos about Rennes-le-Chateau and spiritual issues. Intelligent, sensitive and widely read, she is a descendant of the Eighth president of the United States. She wrote about a gigantic zodiac on the ground around Rennes; it stretches from Antugnac and Luc-sur Aude in the north to Sougraine in the south. There is a film about her on Youtube - she comes across as sincere, quiet and shy. But she had financial problems and was obliged to sell her Arcadia Centre, which became an ordinary home before the Dutchman, Jaap Rameijer and his wife, bought it in 1998 and restored it as a spiritual centre. Jaap is devoted to Mary Magdalene, for in that same year he asked advice from a medium, to whom Mary Magdalene "came through" and spoke to Jaap. Mary told him he had lived in the region of Rennes-le-Chateau 2,000 years ago and had met Mary when she arrived there from Judea. He became her guide and protector and carried messages for her. Mary told him he had died when he was quite young; she was not able to save him. Jaap was very moved and recognised his past life; he remembered waiting and waiting for he knew not what, until Mary arrived. Later he had more readings from psychic people; they showed him where Mary Magdalene had lived, in a house on the south of the plateau owned by Elizabeth van Buren. Three of the psychics pin-pointed the exact place, three different places yes, but all less than one hundred yards from each other. He senses that the spirit of Mary Magdalene is often at Les Labadous. Jaap tells us all this, and more, in his forthcoming book in English, "Mary Magdalene in France." 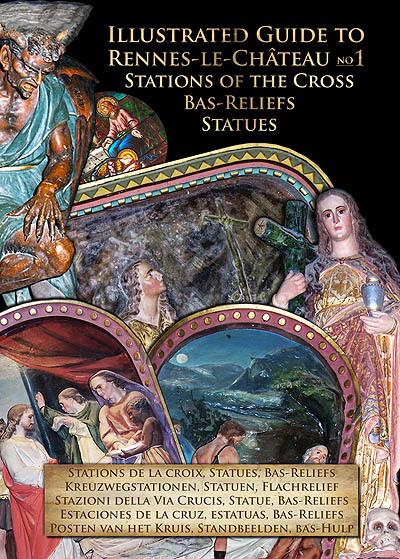 Meanwhile, has written several books about Rennes-le-Chateau in his native Dutch, and his book about Orbs in English, and they are for sale in La Porte de Rennes. Ben was already known as "The Tombman" (he discovered a tomb near Rennes-le-Chateau in 1999) before he became the laid-back star of the film "Bloodline." (Have a look at www.bloodline-themovie.com ) Ben comes across as ordinary but believe me, he is very special indeed. I know these things. I met him when I did a book-signing at Rennes last April and he has remained in my mind as a unique personality every since. He has written several books and done much original research - you can find out more on his site. www.benhammott.com There you will find info about his latest book, "Illustrated Guide to Rennes-le-Chateau." "There's something about Ben I find very sincere," says Rat Scabies. Every year, around the second week of September, they organise an mystery-hunting excursion to Rennes-le-Chateau and the surrounding countryside - you might run into Scabies then, or in Spring when his family arrives to organise the tour. Rat Scabies is basically a musician and was once considered the best punk-rock drummer in the world. He caught the headlines when he set fire to his drums - you can see the film on YouTube - but it seemed to me they were playing pure rock-blues and nothing punk at all. You can see his grail-hunter film about Rennes on; www.youtube.com/watch?v=igha_pZ9Y68 His love for Rennes-le-Chateau shines through. Ben Hammott and his German potholer friends, that I met last year, are on it. I believe Rat Scabies is psychic. I guessed he was born under Leo - I know the Leo hand in a velvet glove when I see it - and guessed his birthday as 26th July, but I was four days out, it is the 30th. Not only do they do tours, they make films and write books, all with a zest for life and a great enthusiasm for this wonderful country of ours - Occitania. 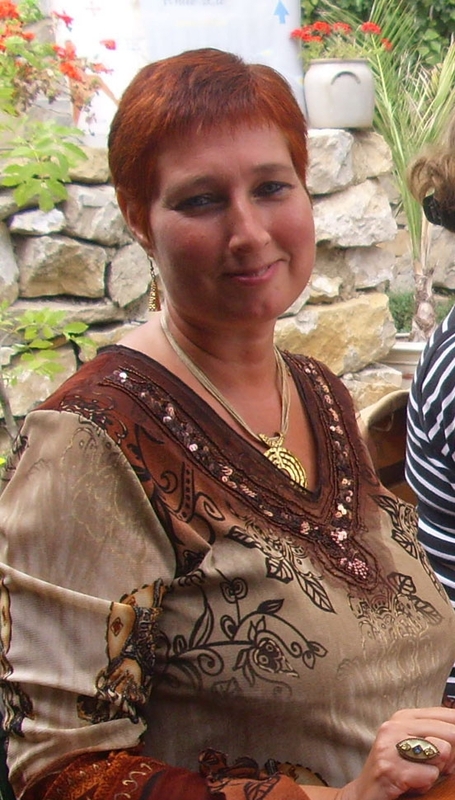 Anneke is often in Le Jardin especially early in the year before her hectic season gets under way. 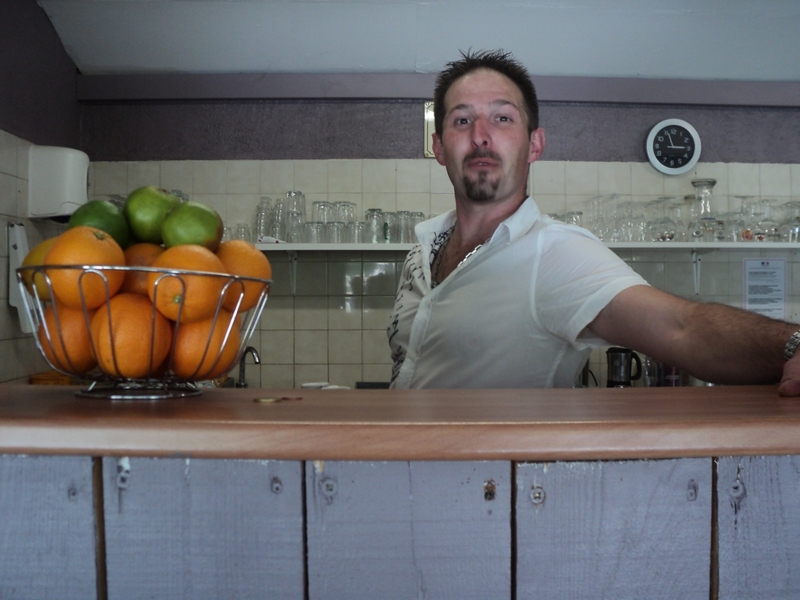 He is the owner of Le Jardin de Marie restaurant. English is spoken! He is a trained chef and it shows, with his delightful menus in the French style. He has become a large part of the scene in Rennes-le-Château and you can also find him on Facebook. Click here for more about the restaurant.